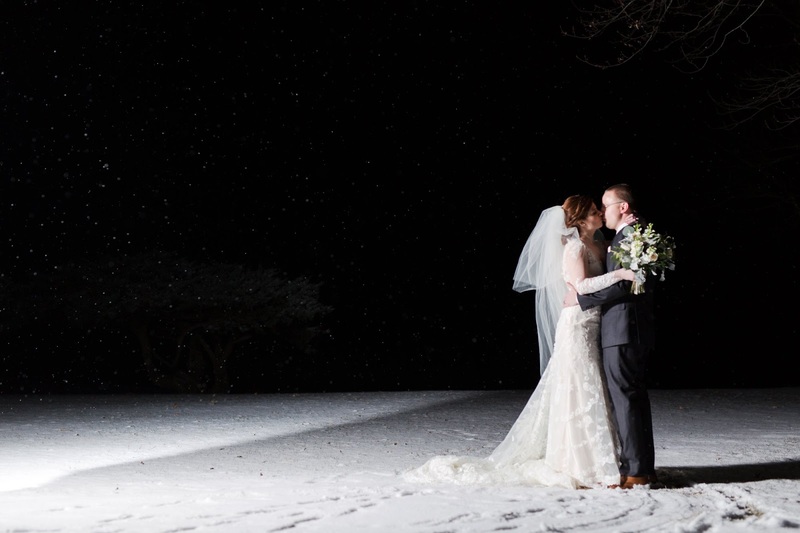 It’s hard to find a starting place to describe the magic enveloping Lindsay and Adam’s wedding day, so let’s just start with the obvious… the entire day was breathtaking. 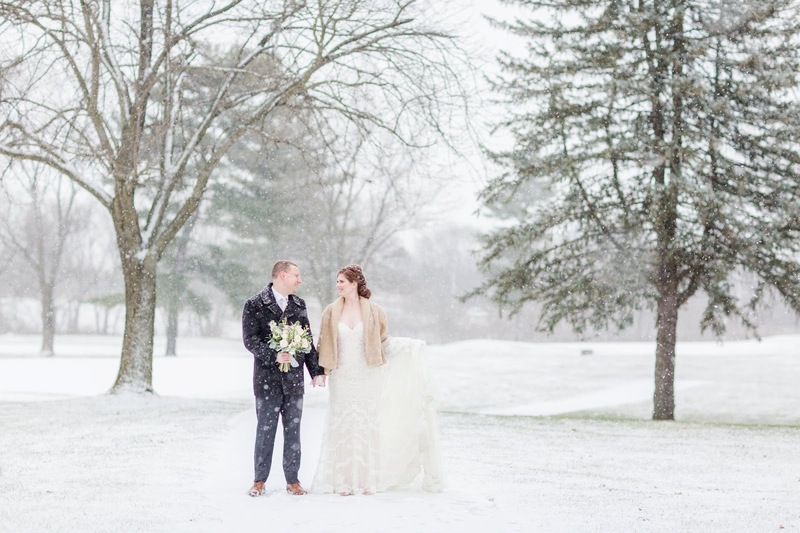 Though the weather outside was chilly, the atmosphere inside Oakhurst was warm and inviting. 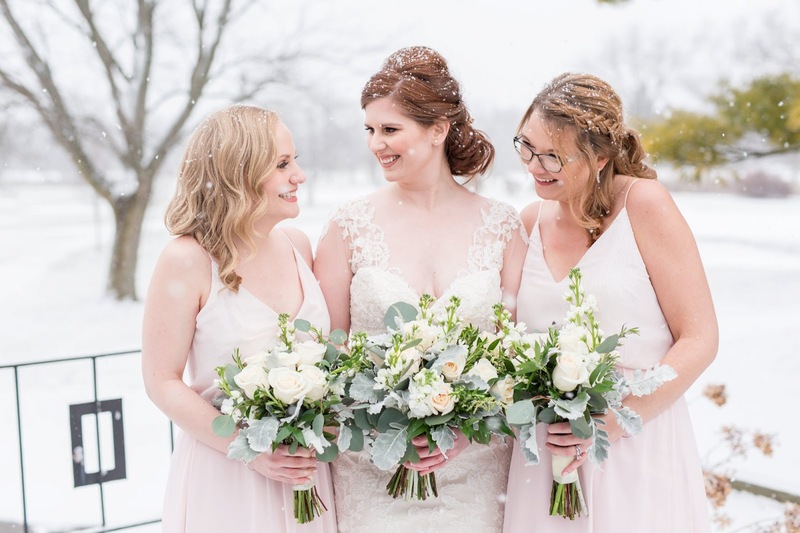 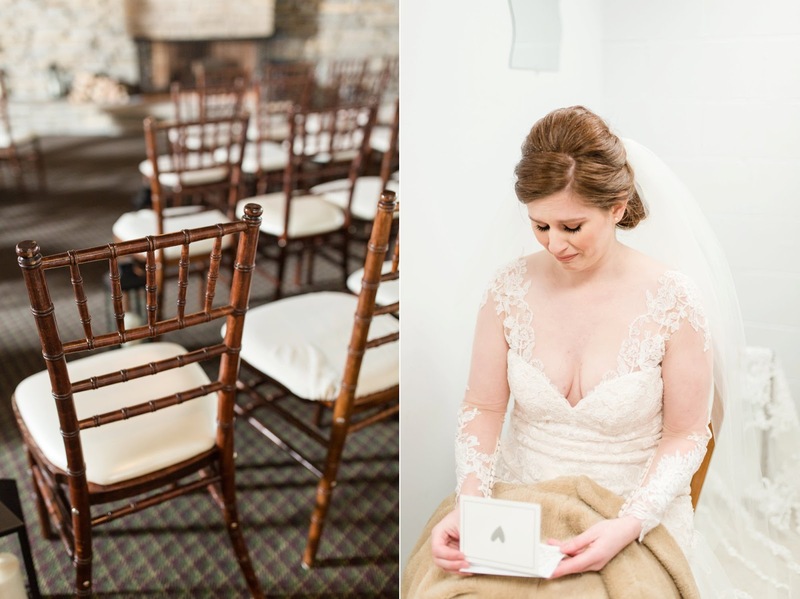 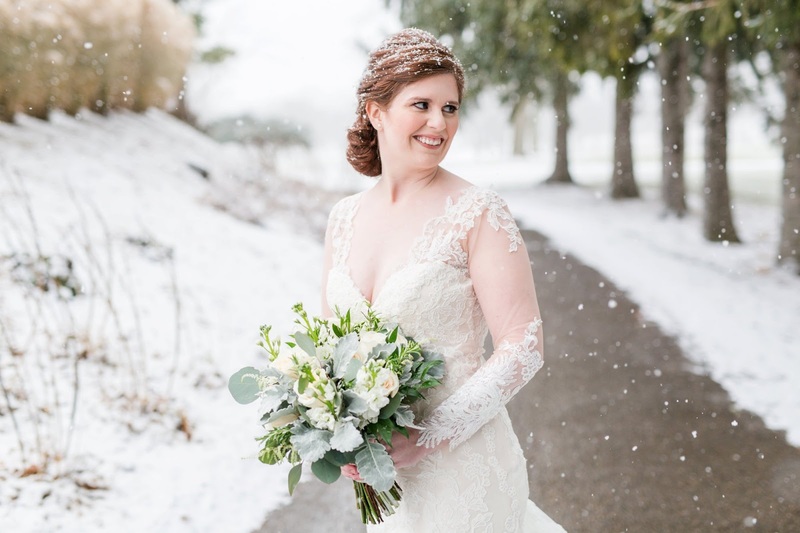 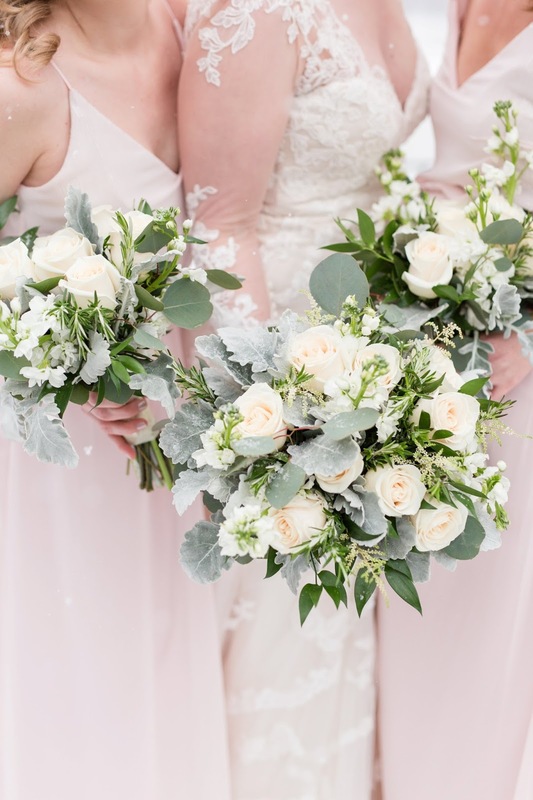 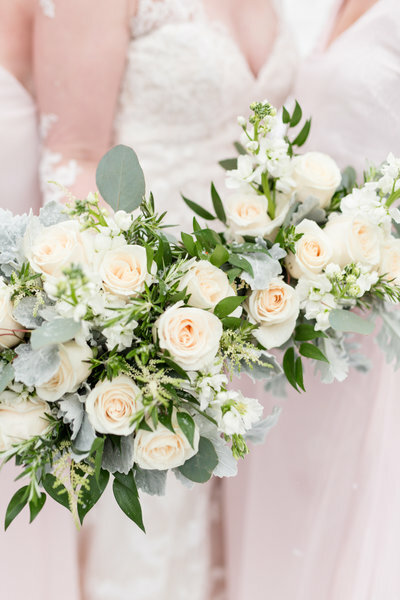 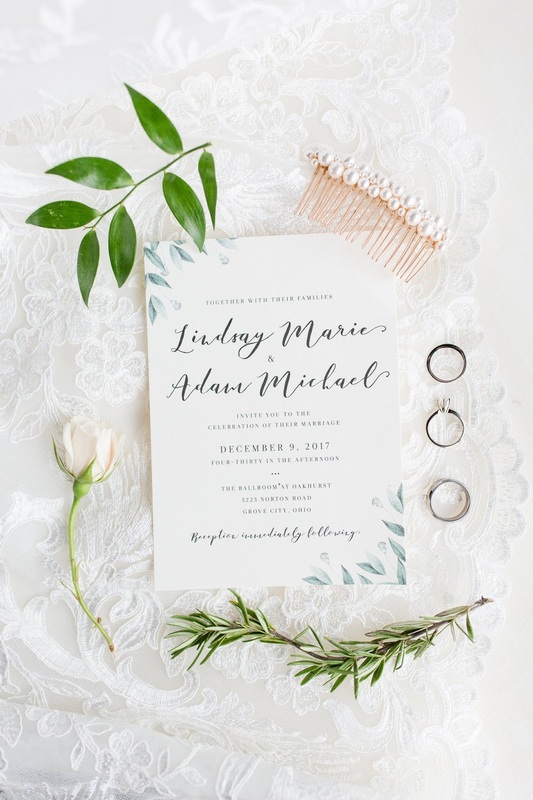 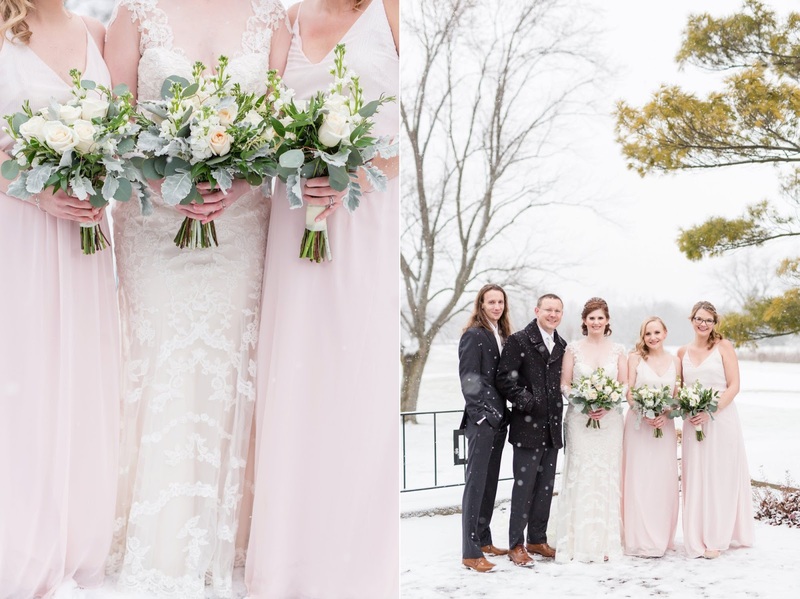 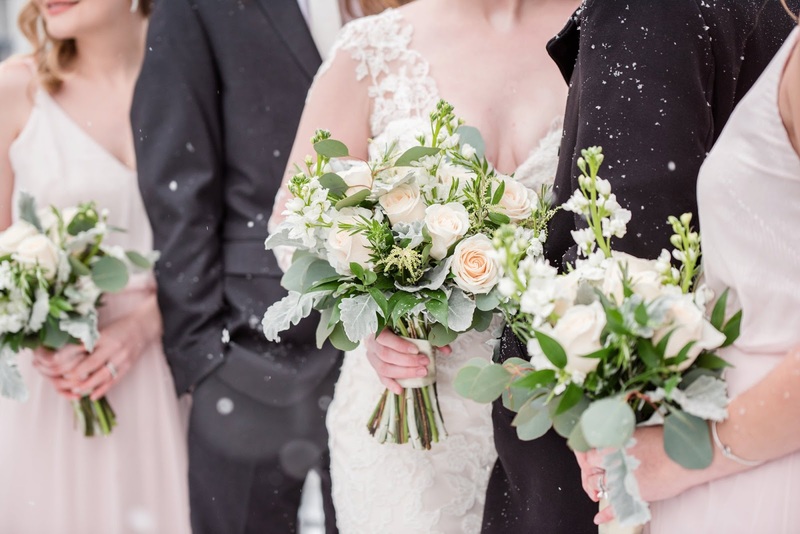 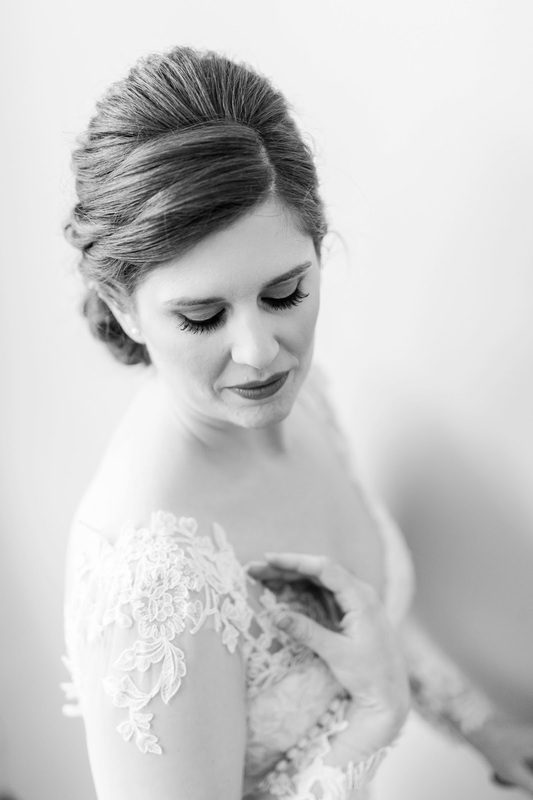 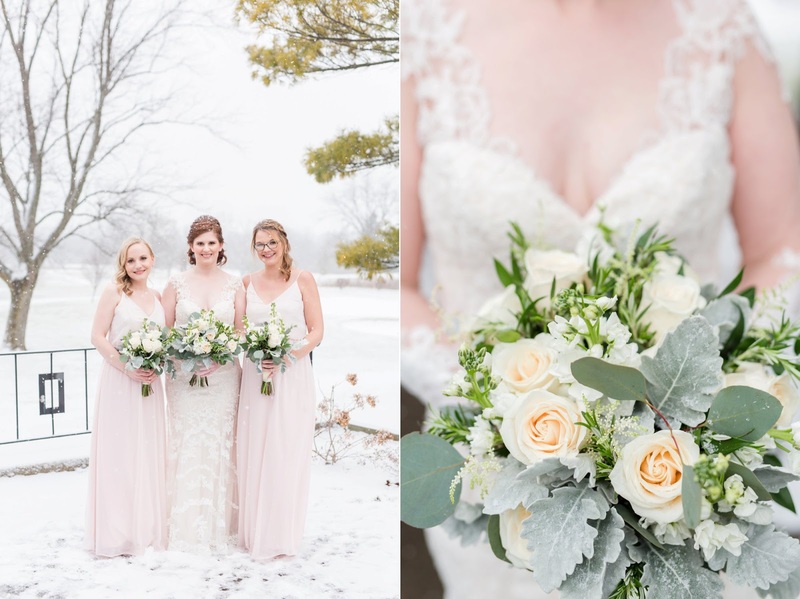 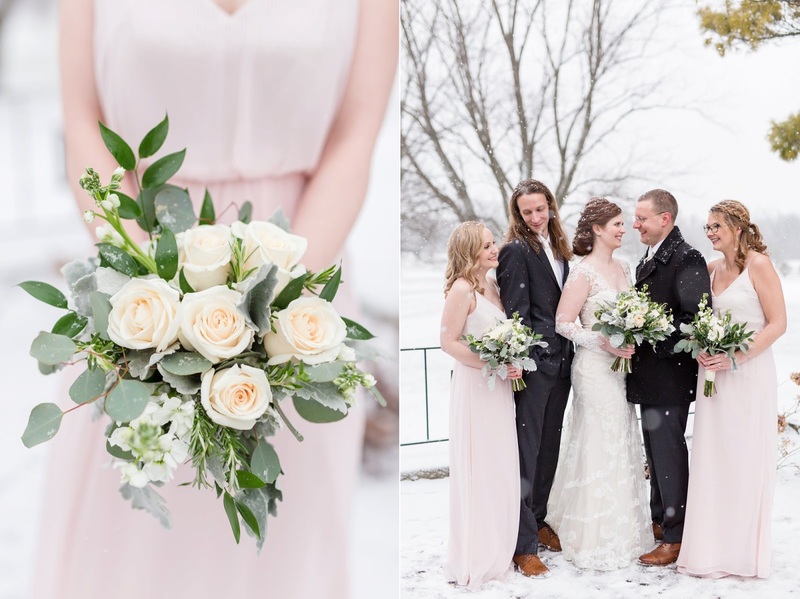 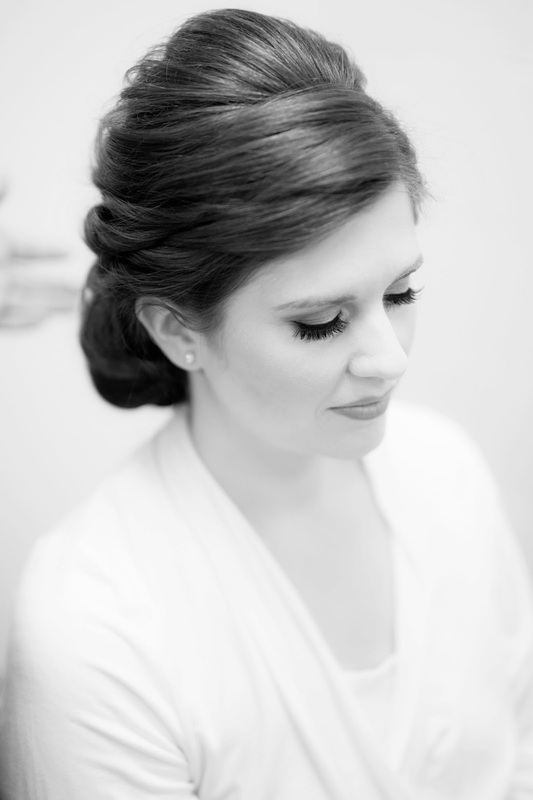 Lindsay had orchestrated every detail with a graceful elegance that reflected her personality and vision, and as a light blanket of snow began to fall, the anticipation and magic grew. 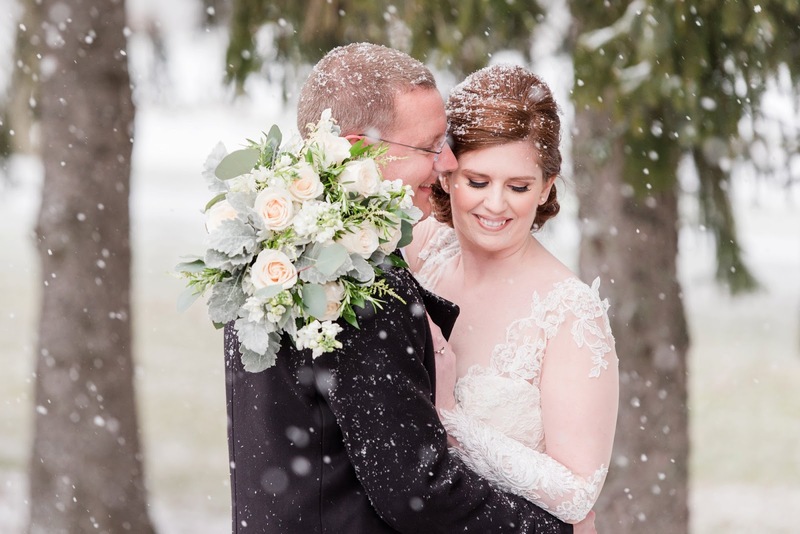 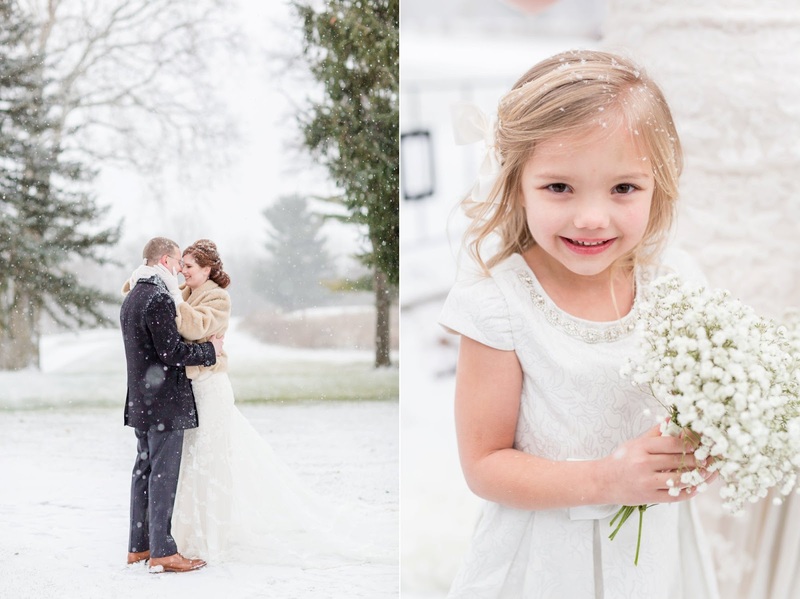 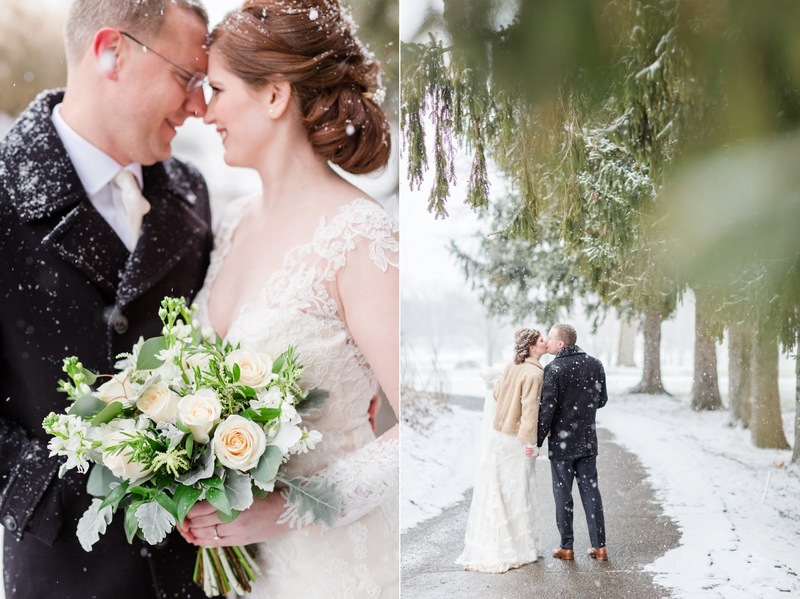 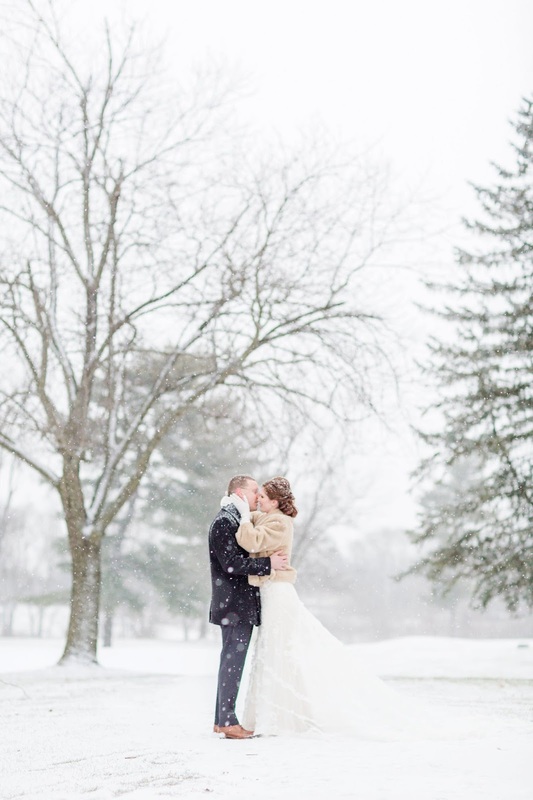 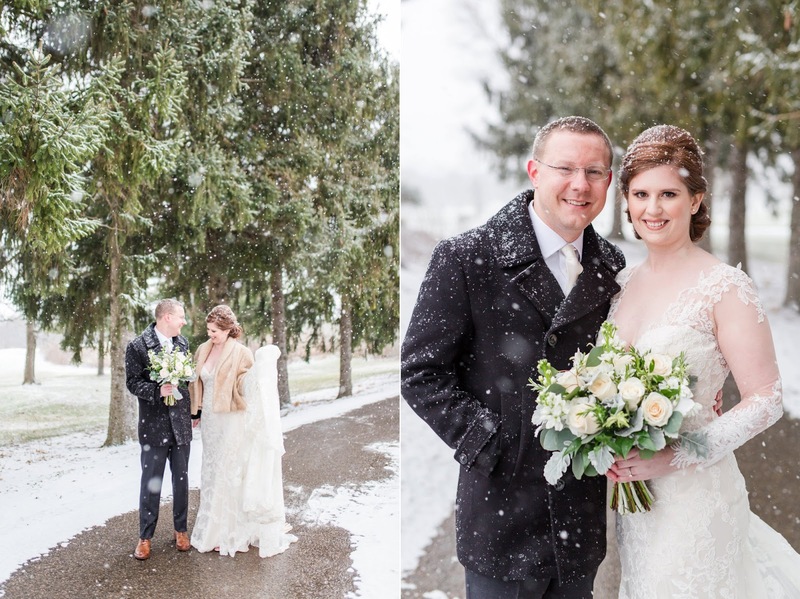 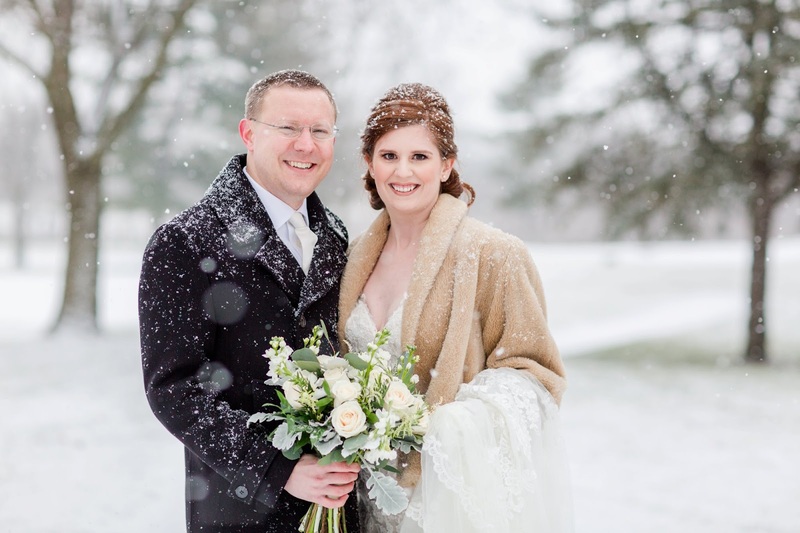 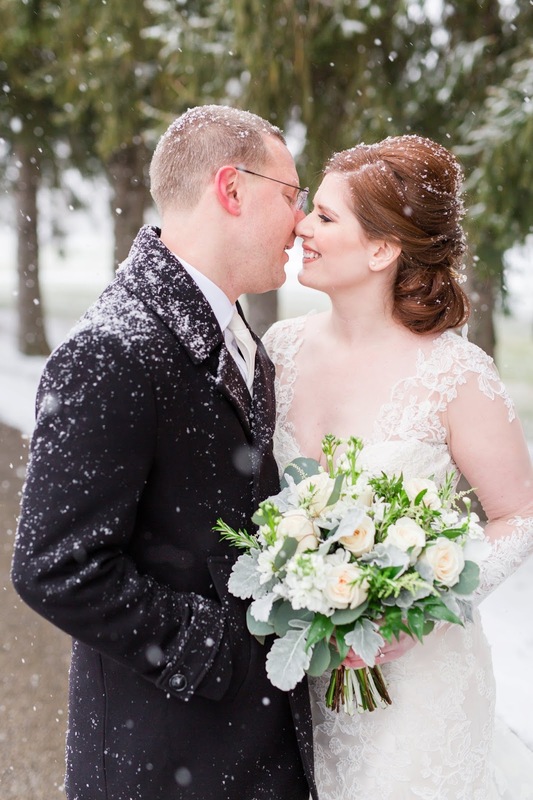 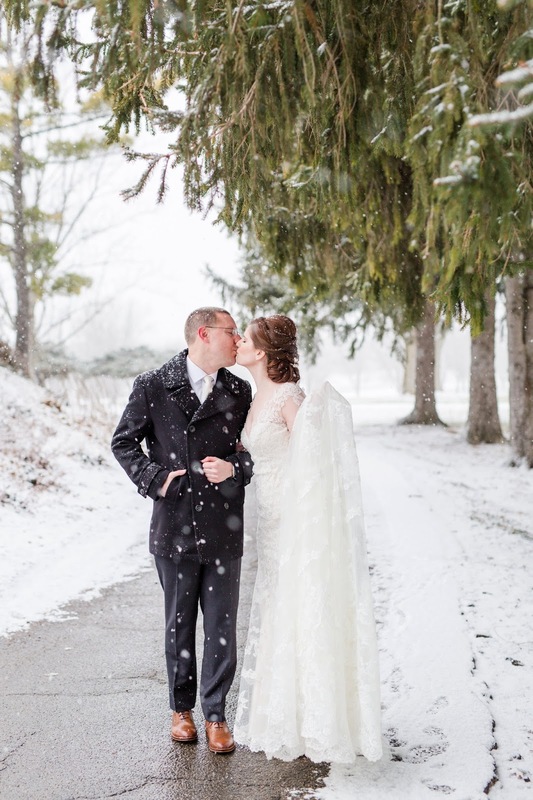 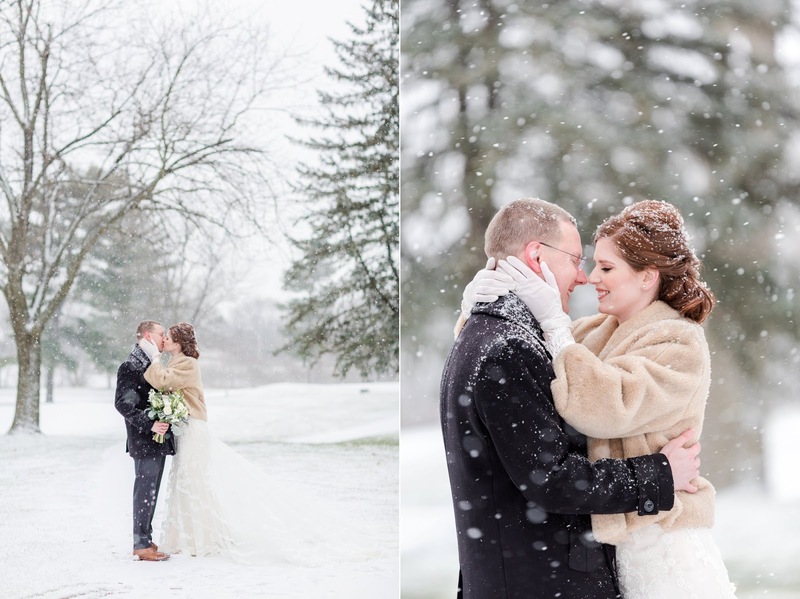 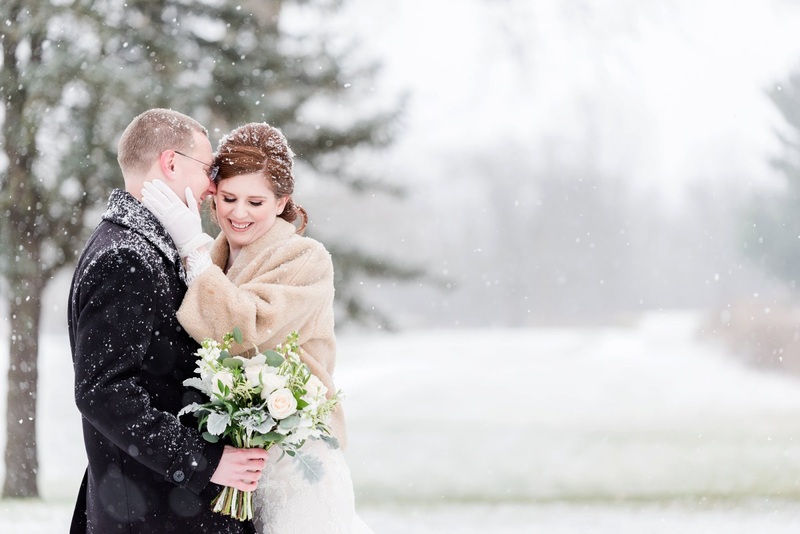 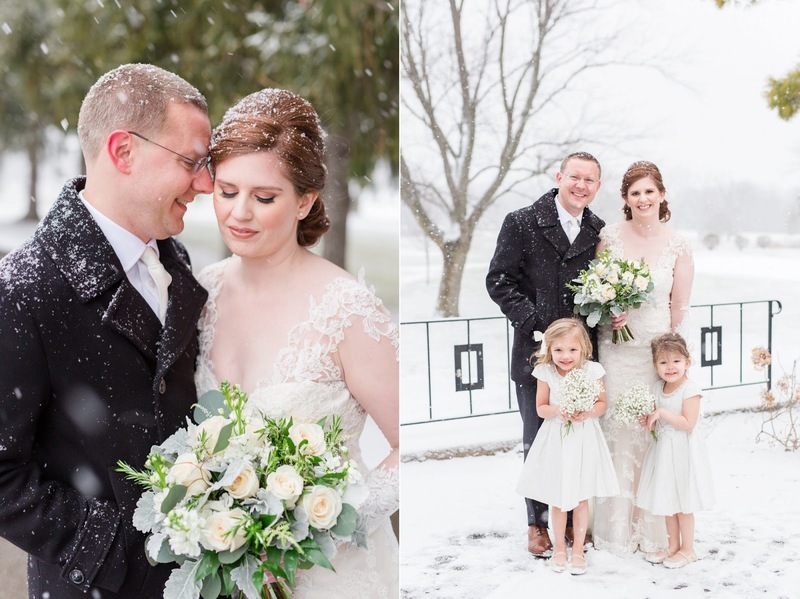 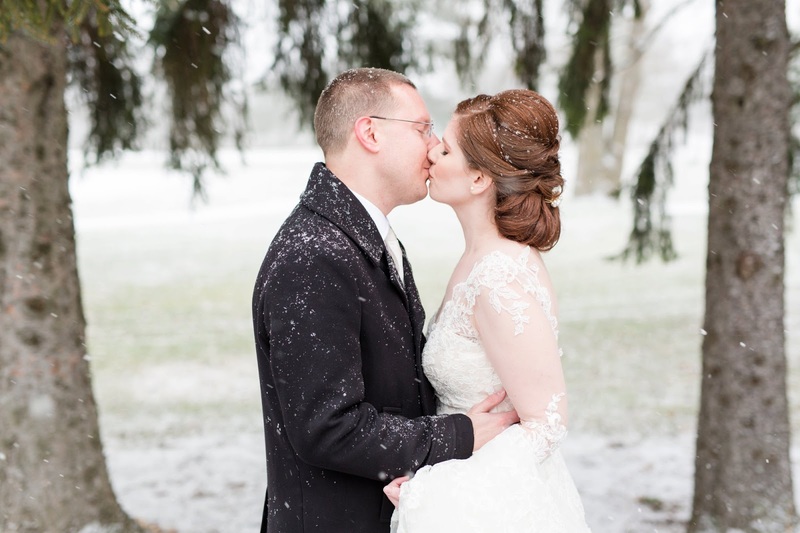 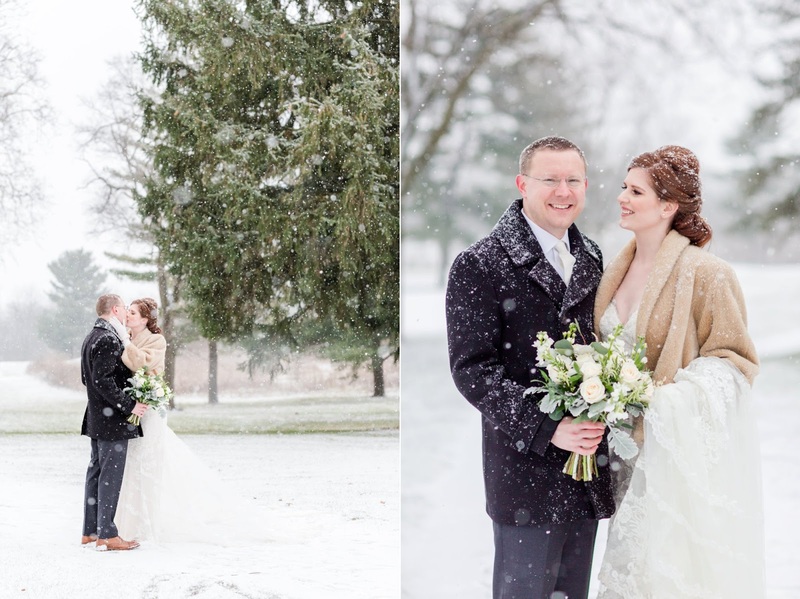 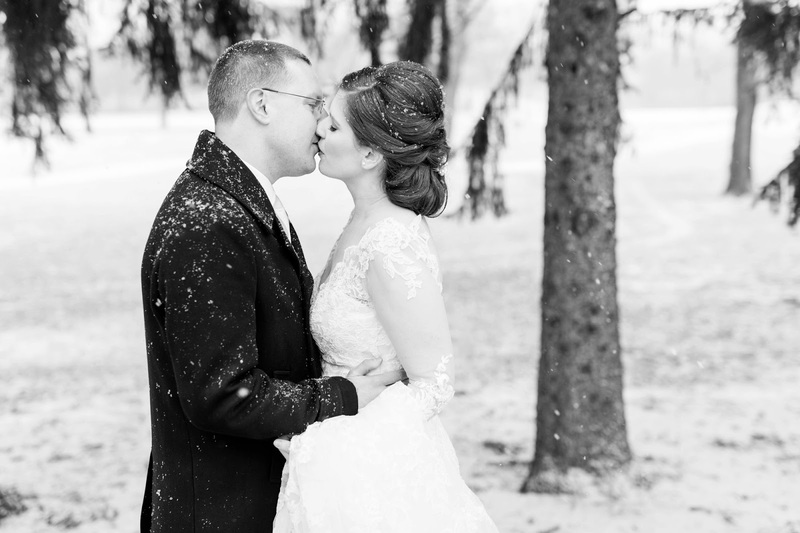 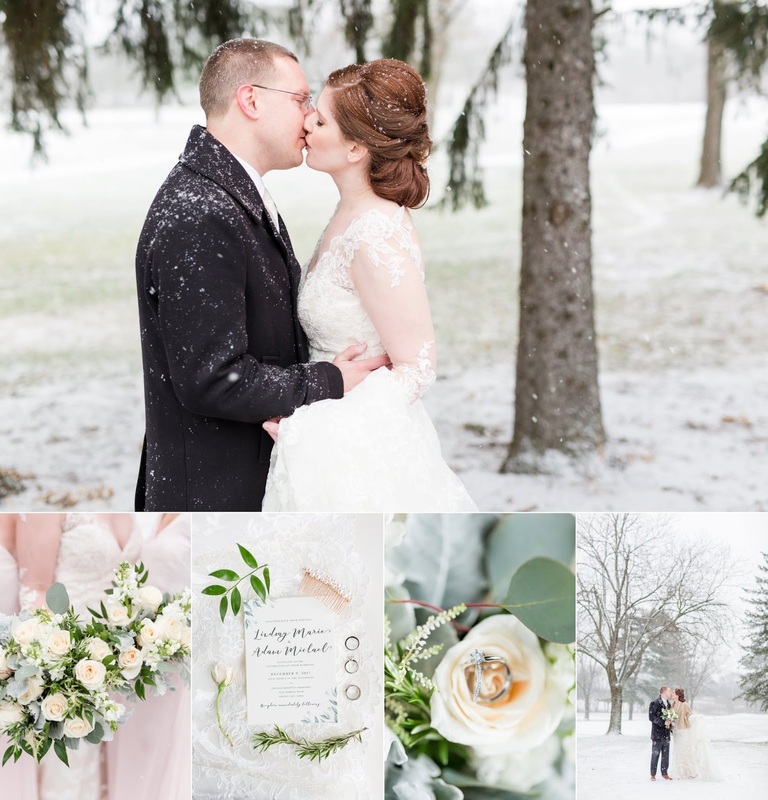 This was their dream wedding day, the gorgeous white winter wonderland they had hoped for when planning their wedding in Ohio mid-December. 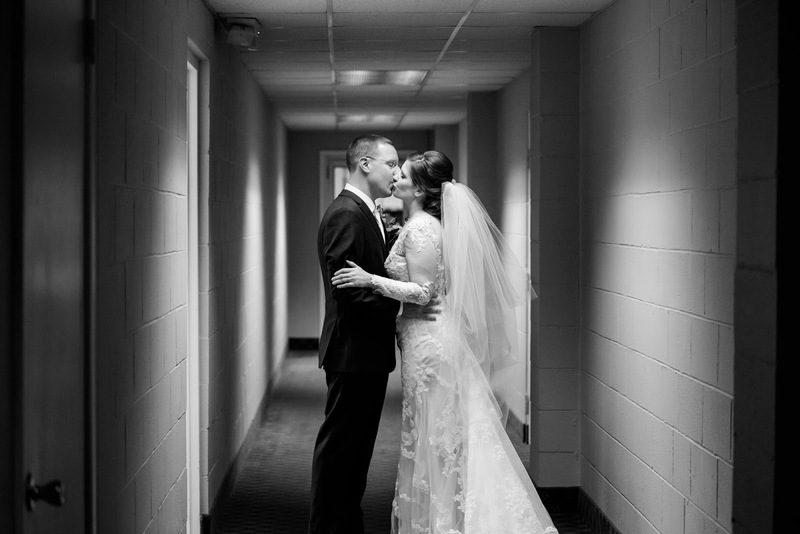 Lindsay and Adam are quiet, graceful, and so in love. 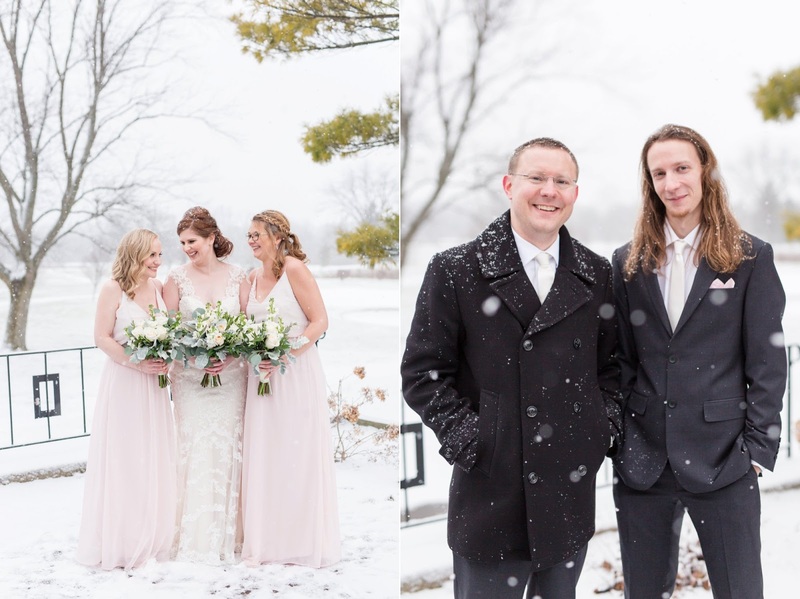 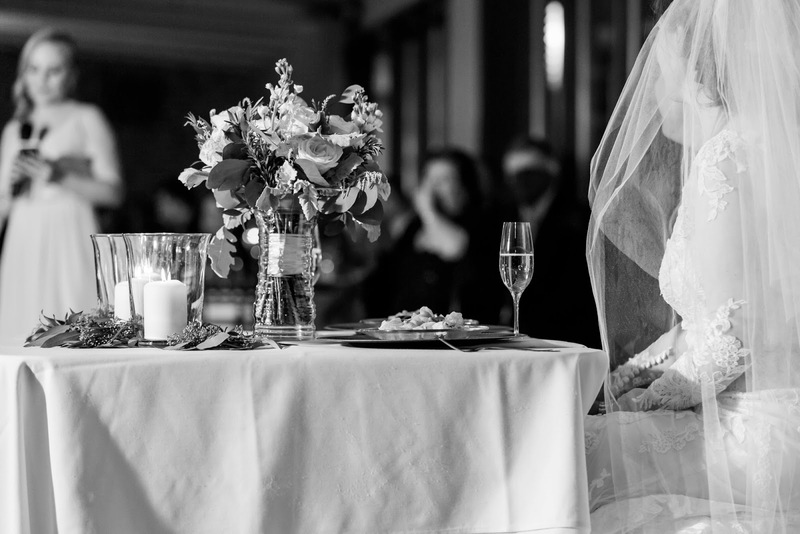 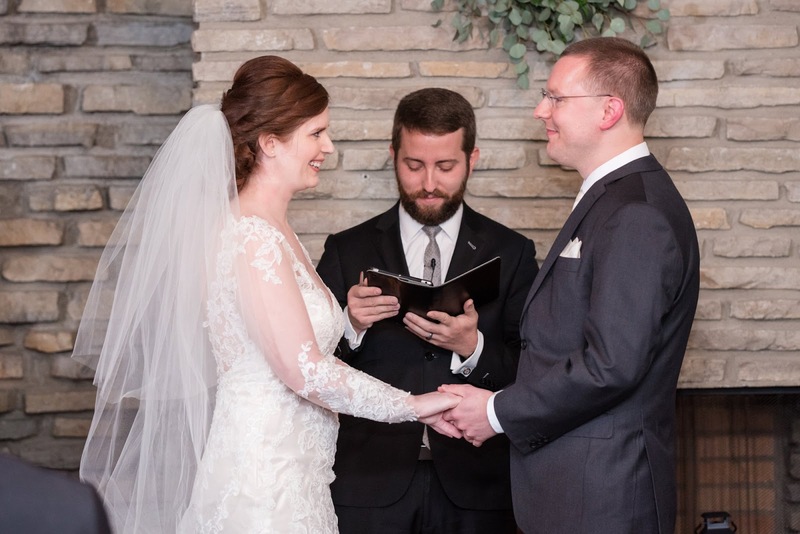 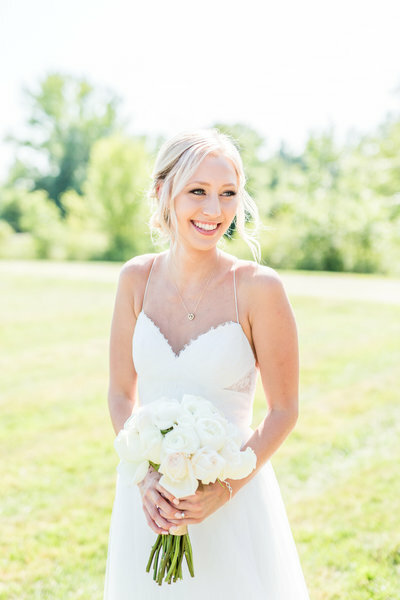 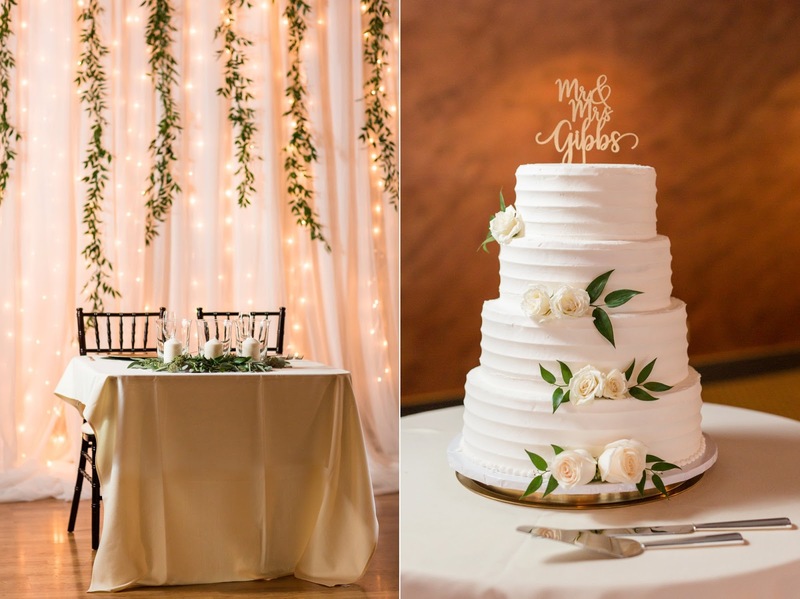 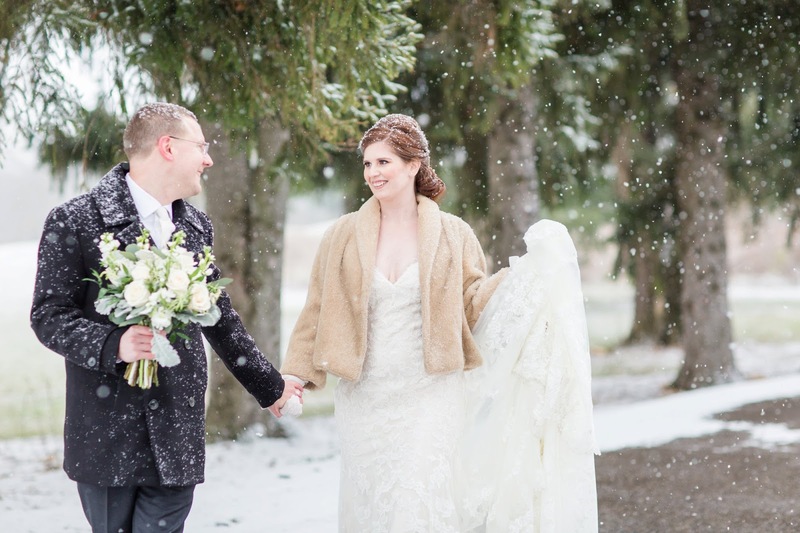 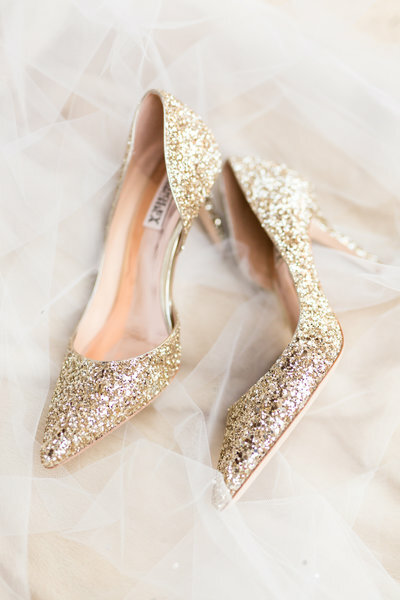 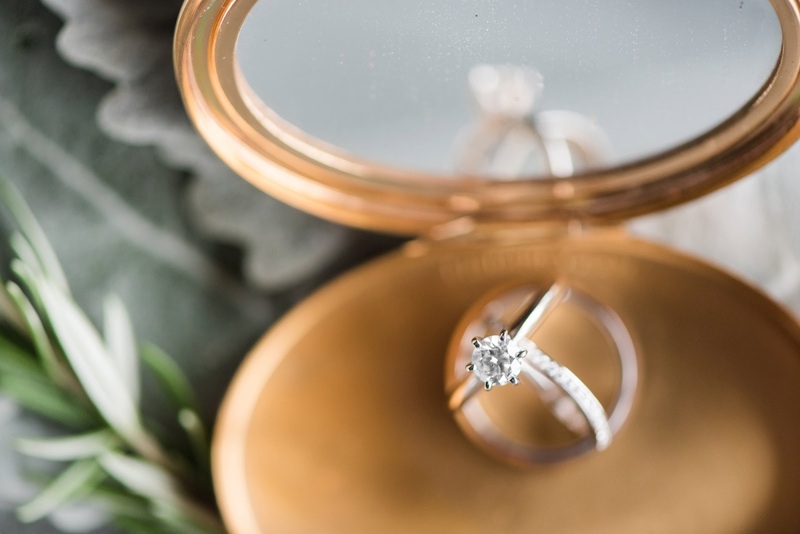 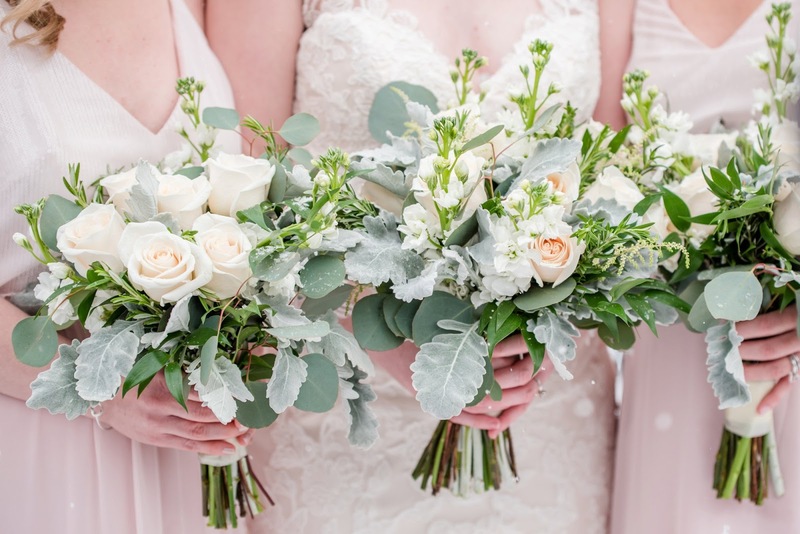 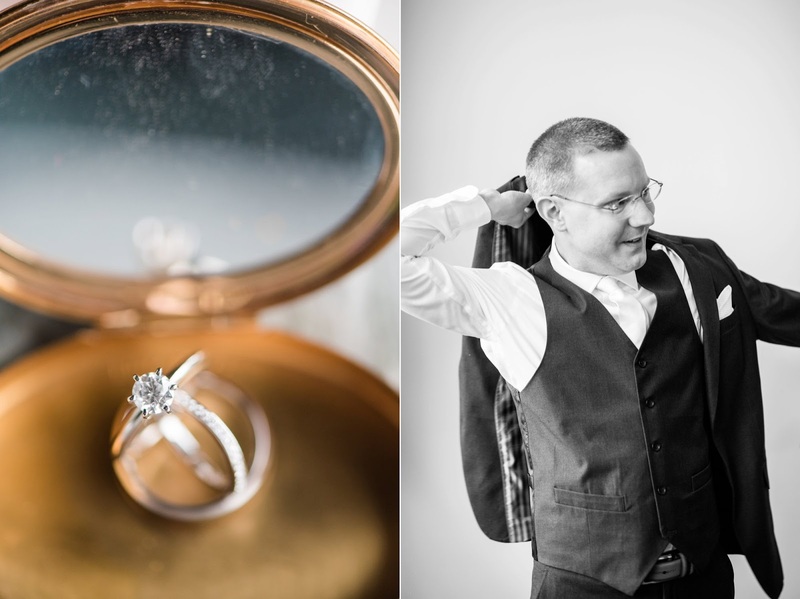 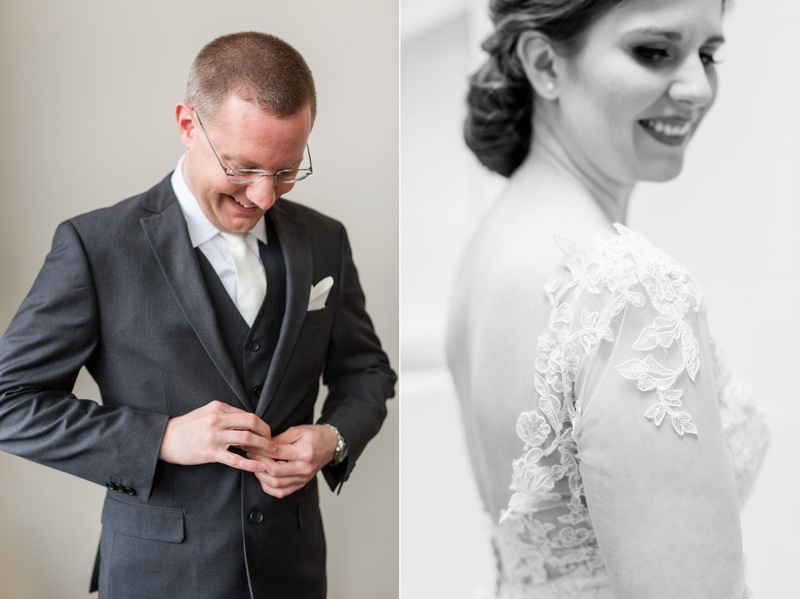 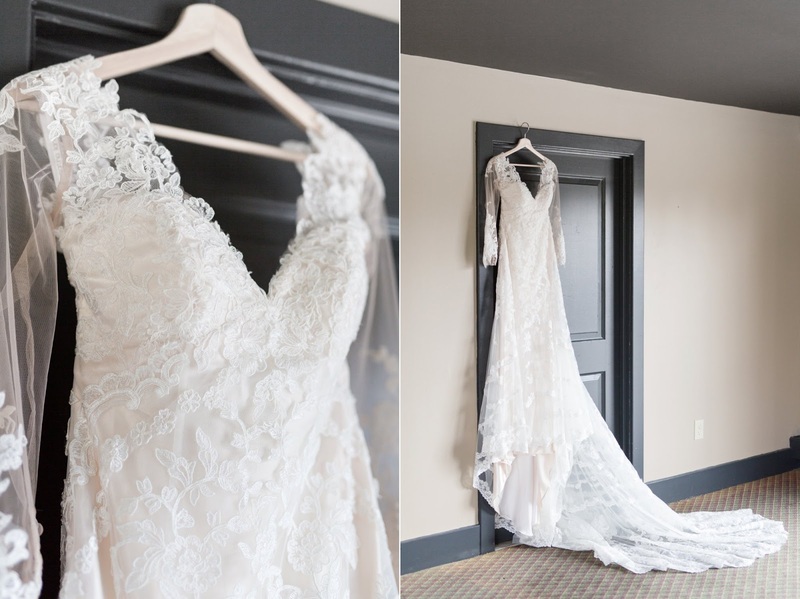 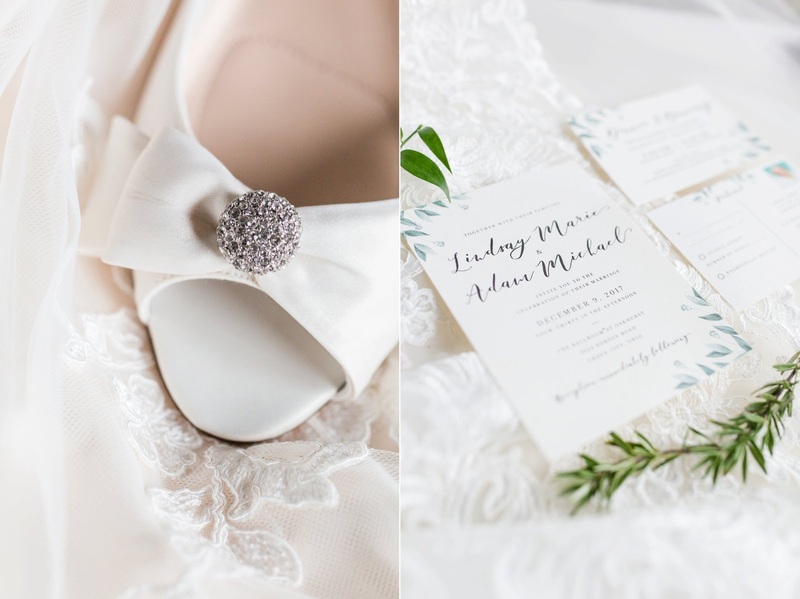 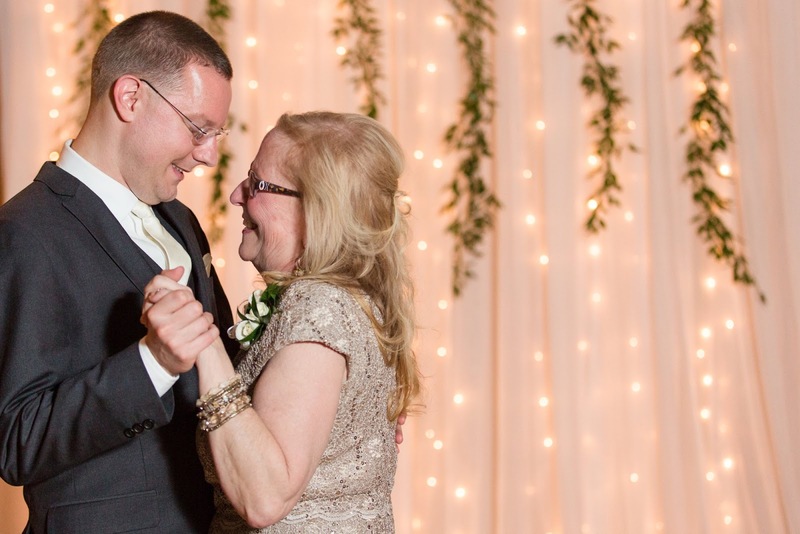 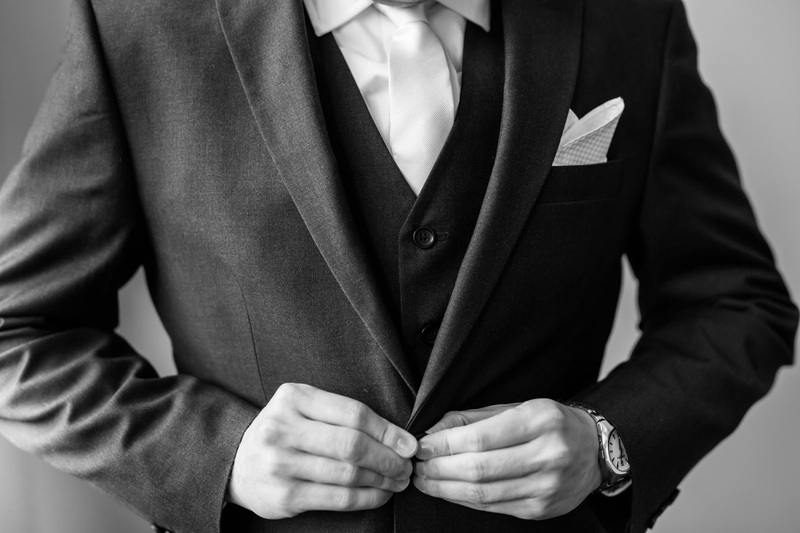 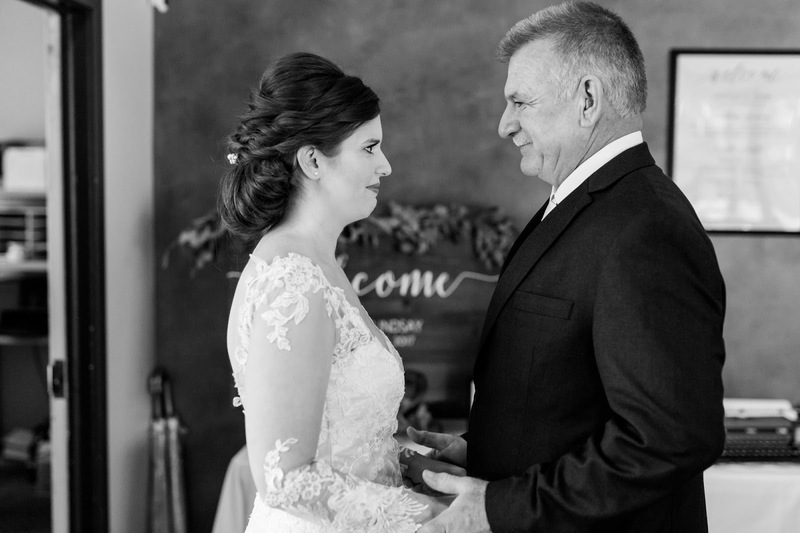 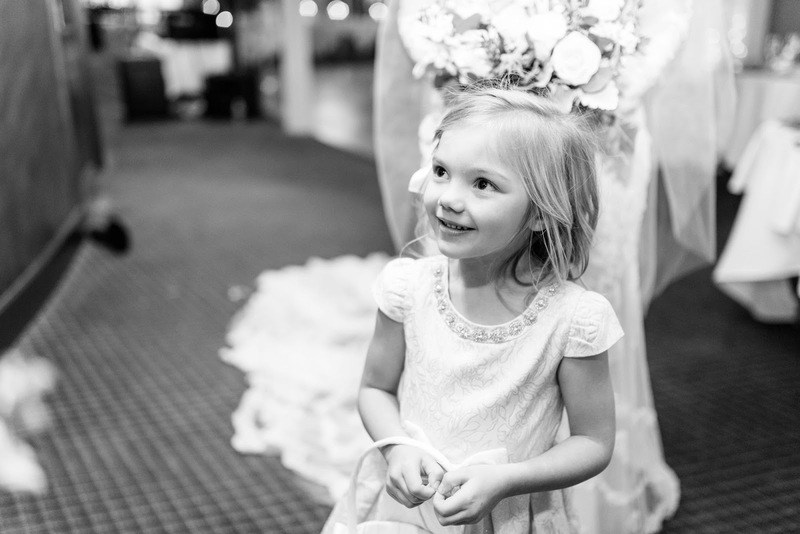 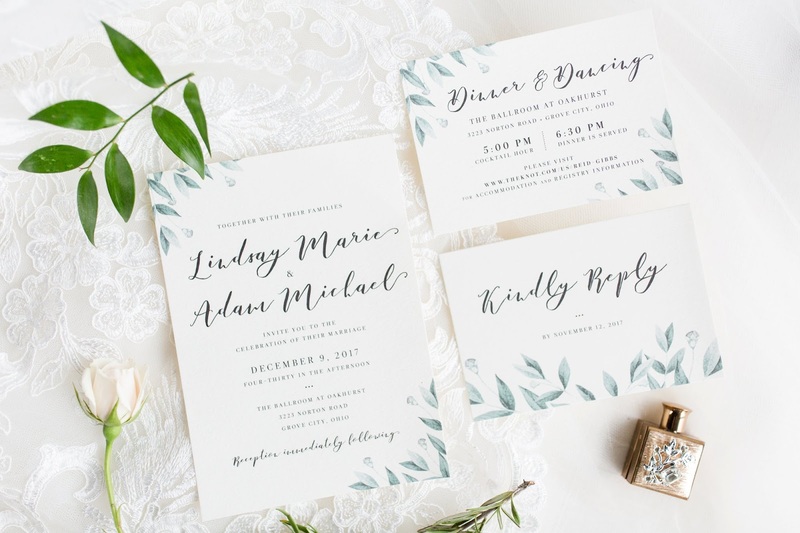 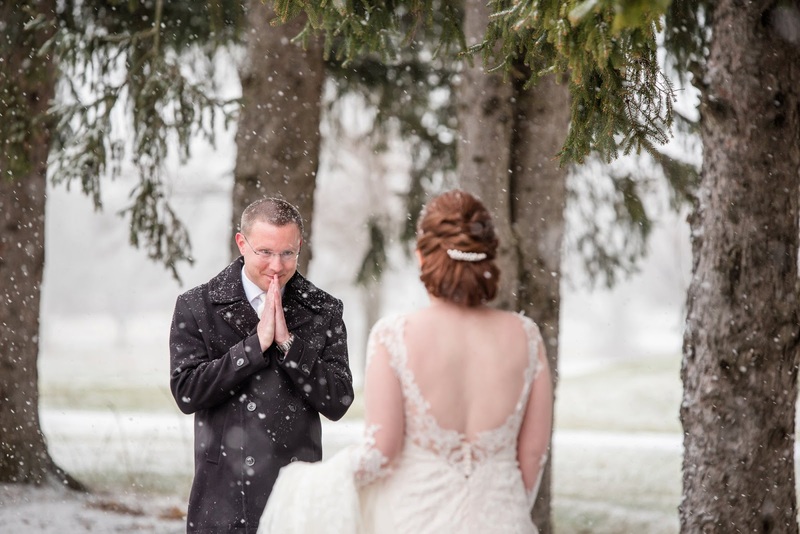 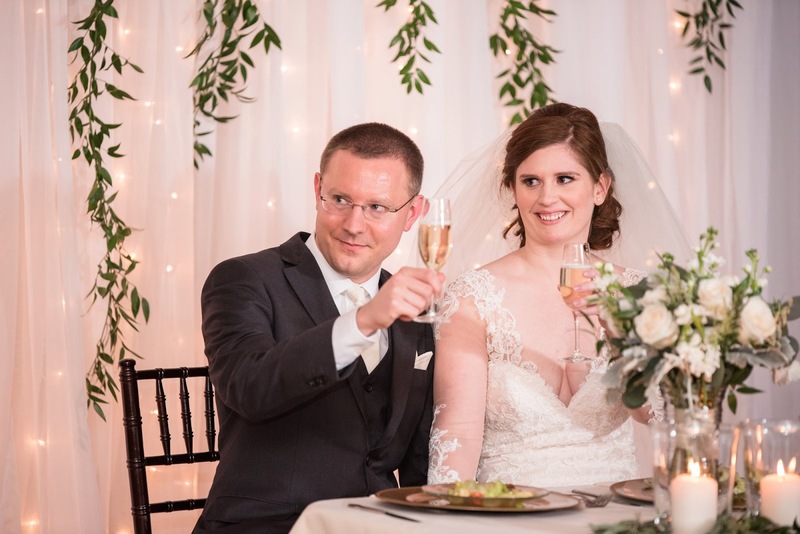 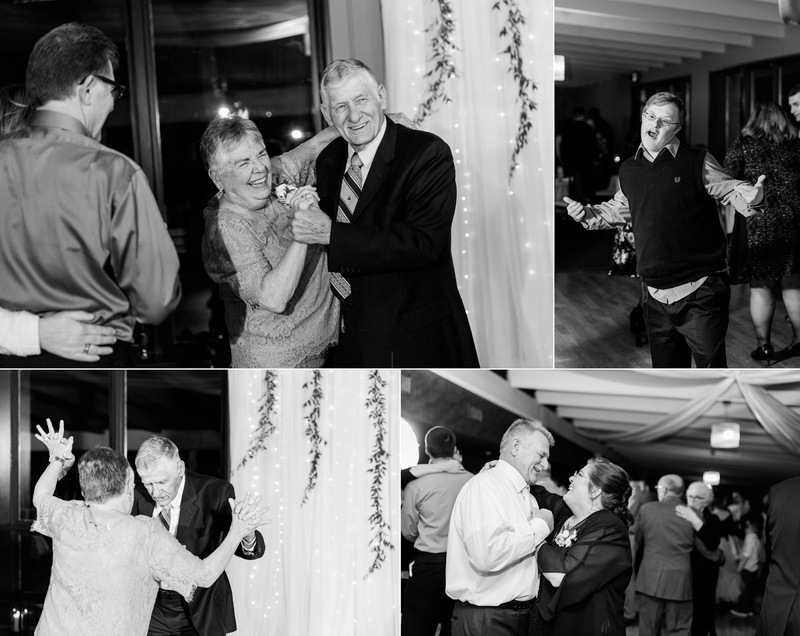 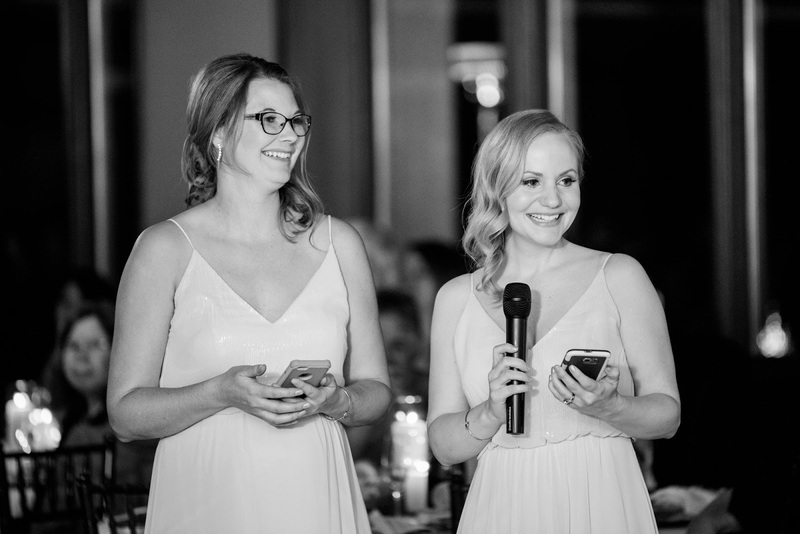 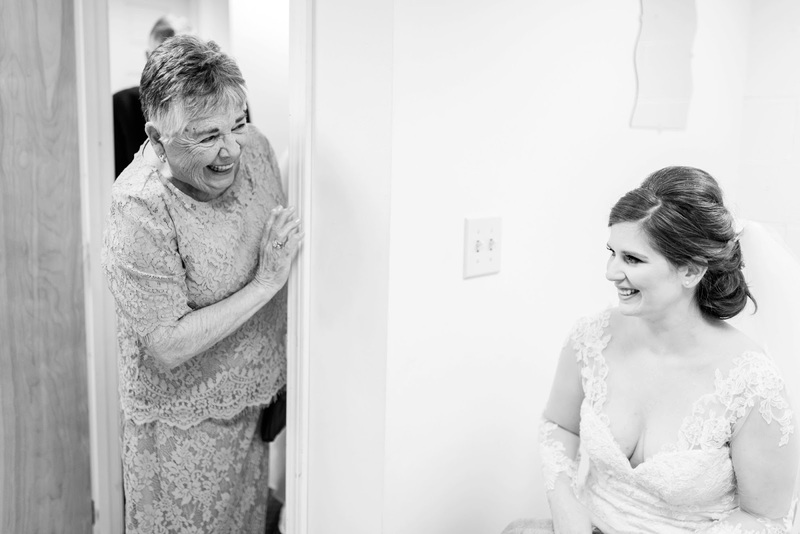 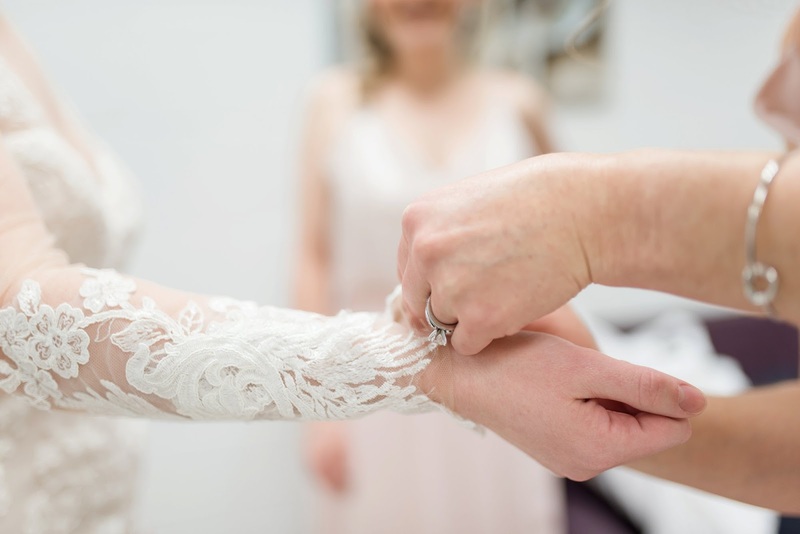 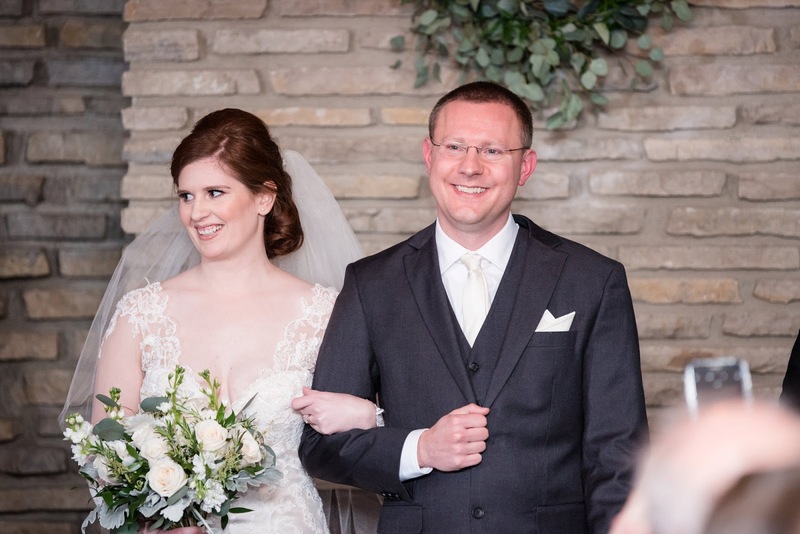 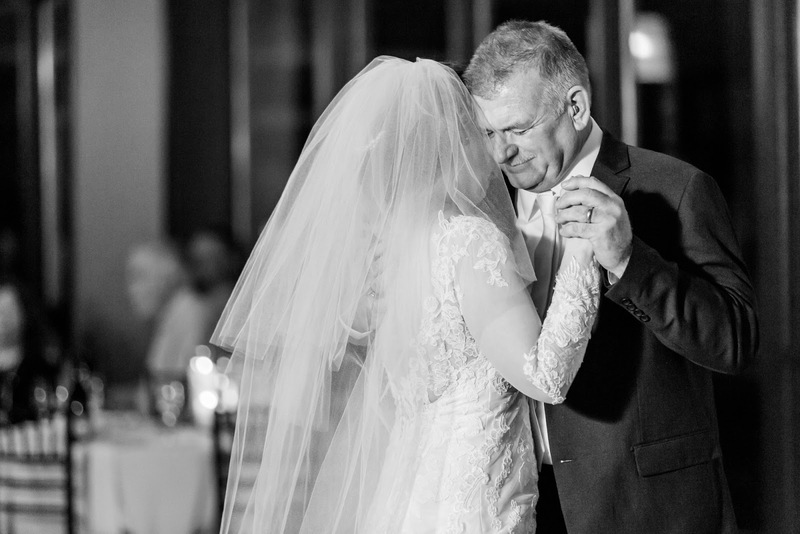 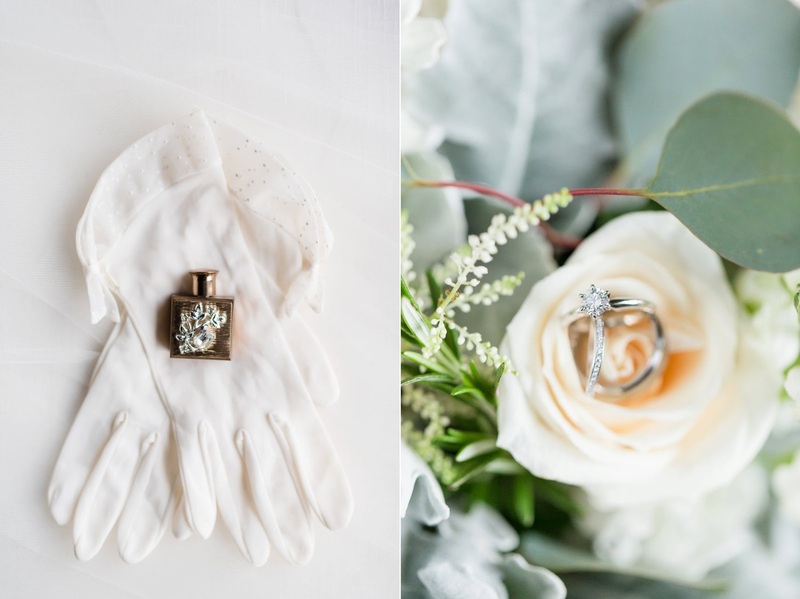 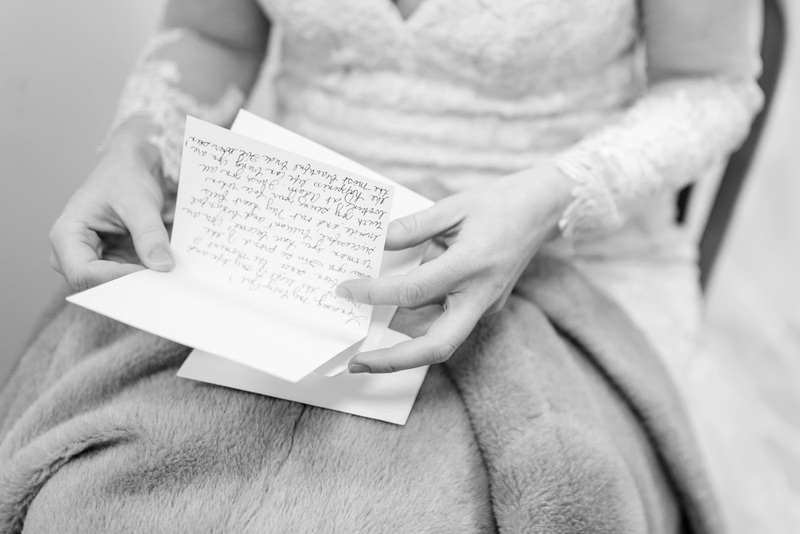 Adam waited patiently for his bride to emerge, laughing and chatting with his closet family members, while Lindsay slipped into her lace dress with button-up sleeves and her grandmother’s fur and gloves. 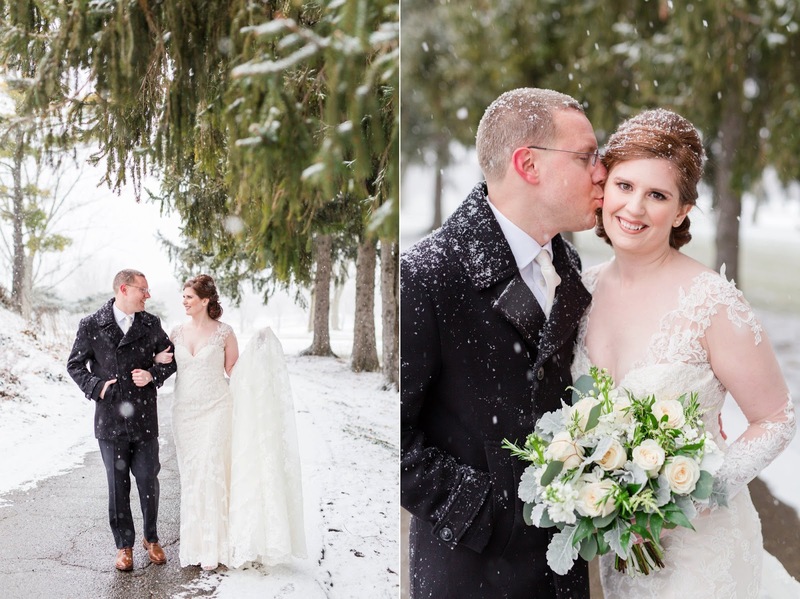 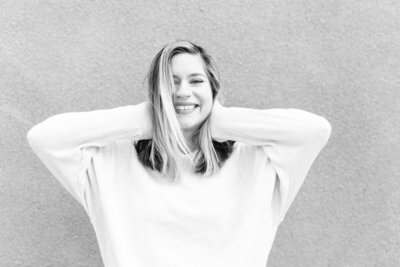 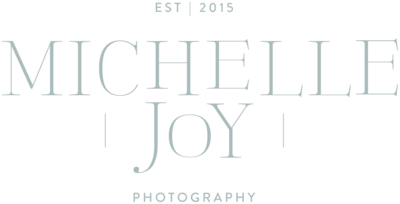 They shared their first look under a ceiling of evergreen trees covered in a soft dusting of snow, and were able to finish all their portraits while light fluffy snowflakes continued to fall lazily from the sky. 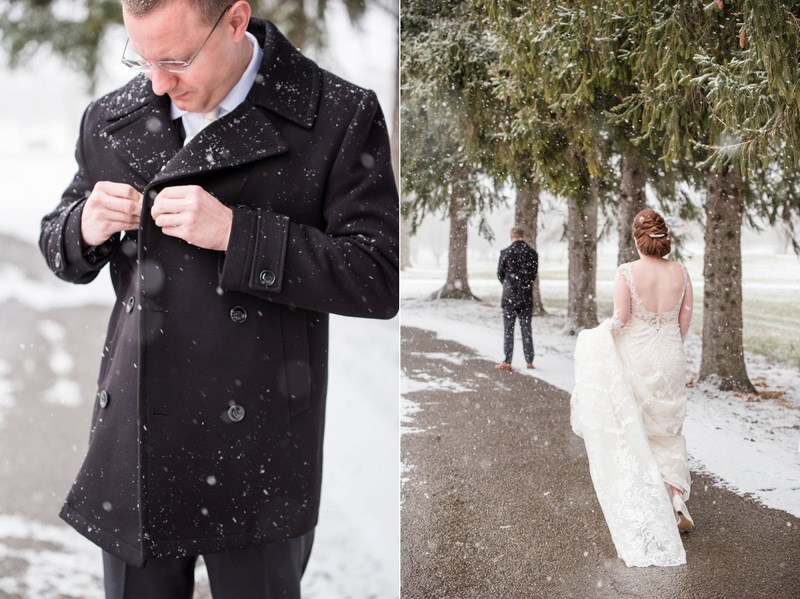 Once it was time to go inside, the magic only continued. 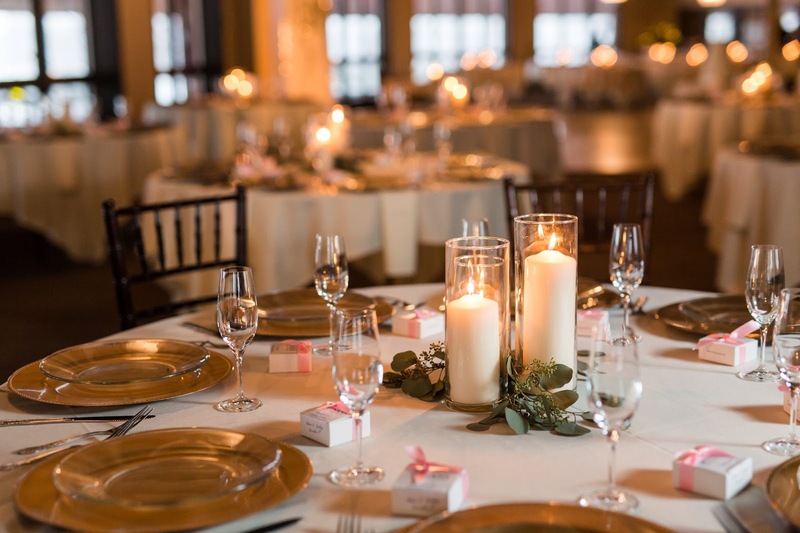 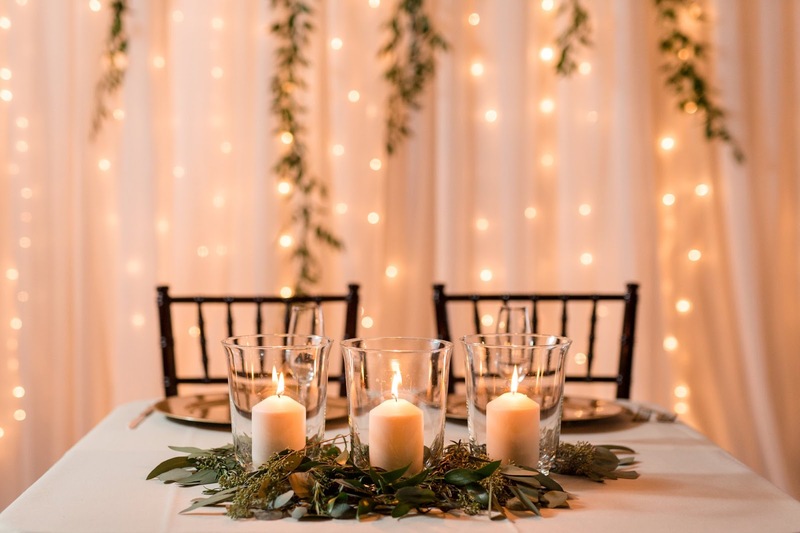 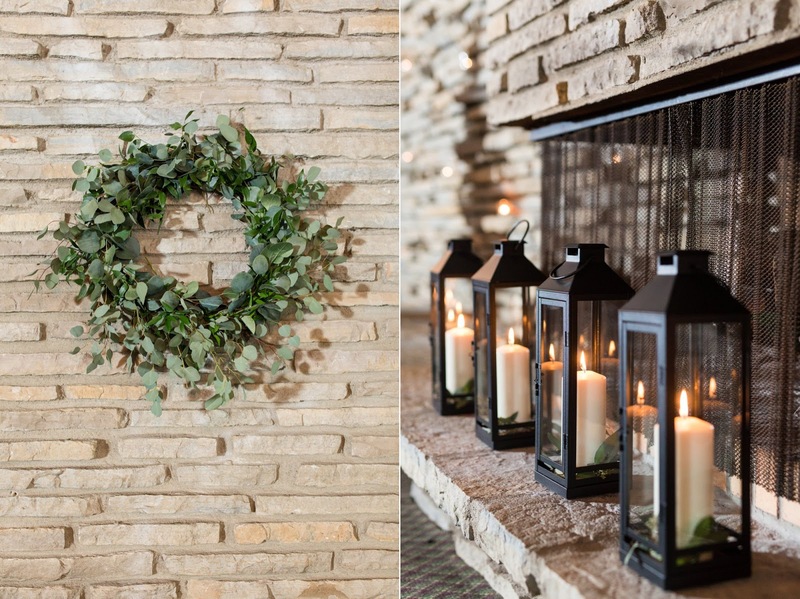 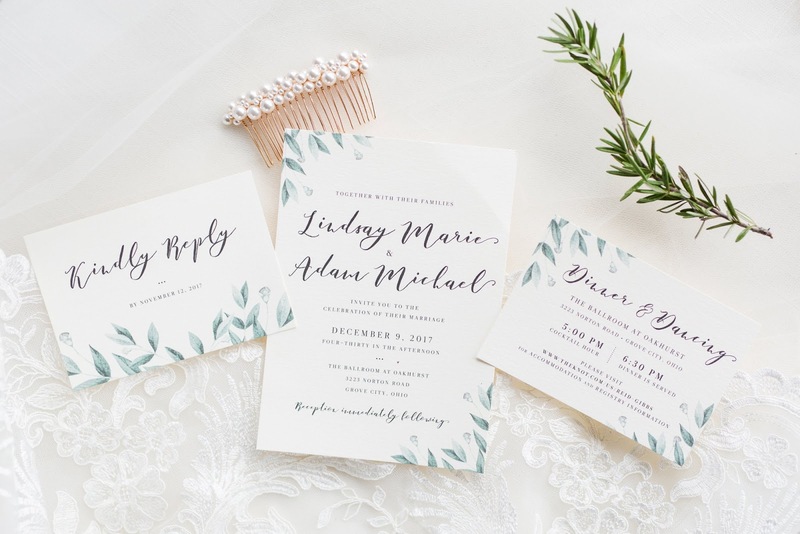 Their ceremony was warm and cozy, right in front of the fireplace, and from there the guests moved into a candlelit reception hall. 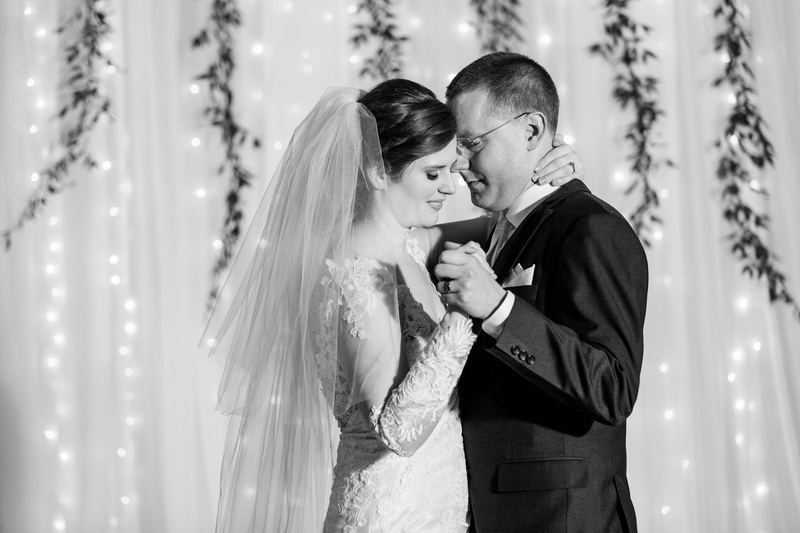 The night continued with an energy only possible when a group of people love each other as much as Lindsay and Adam’s family love them. 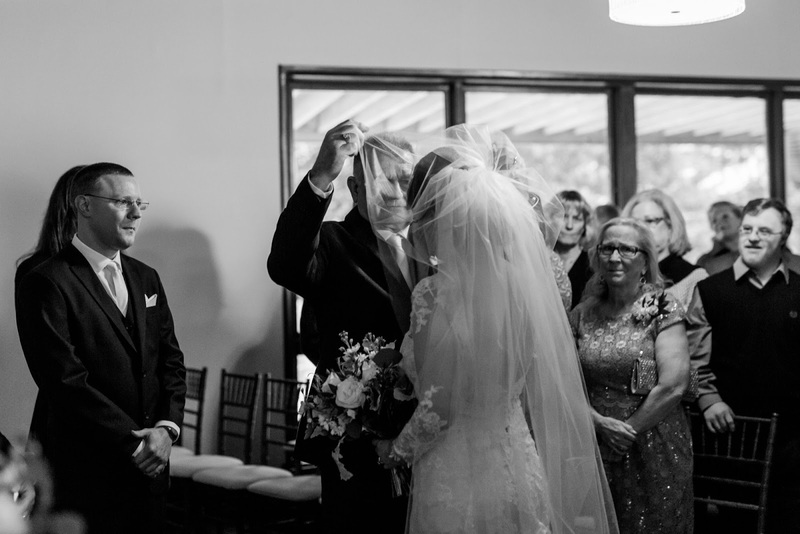 So many happy tears, touching stories, and an incredible celebration of love and marriage that I’m so excited to share. 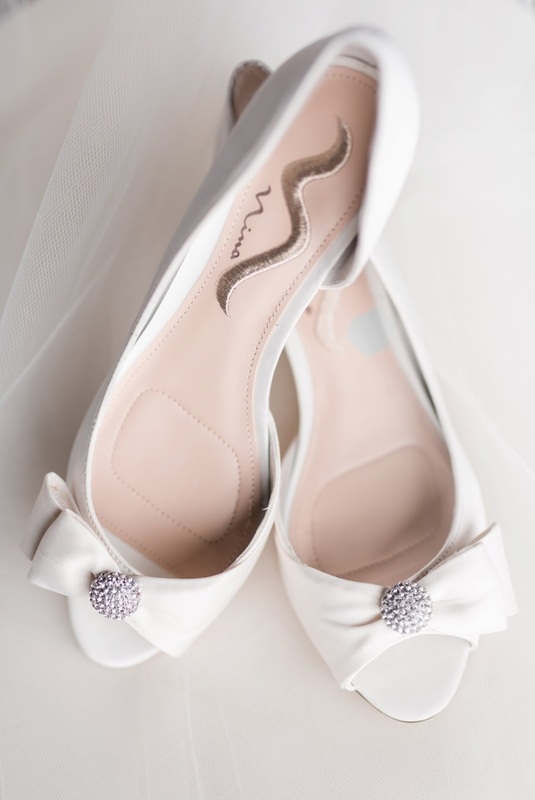 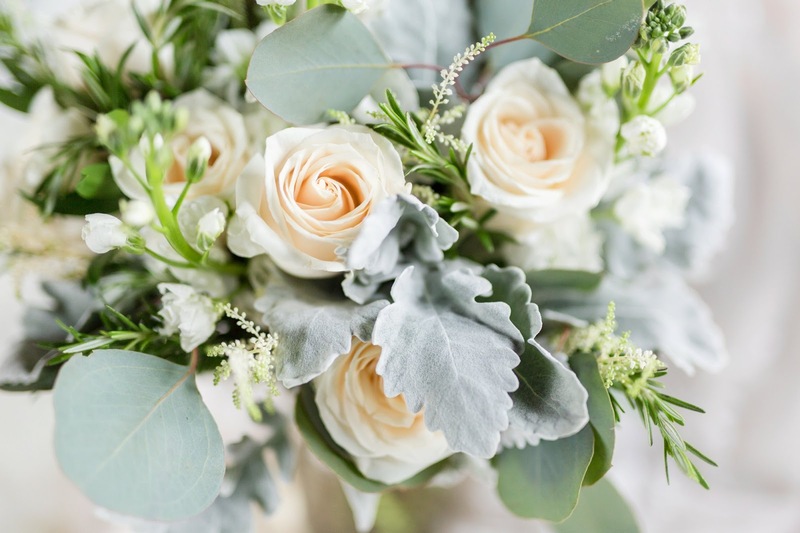 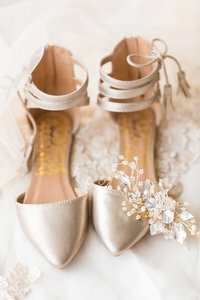 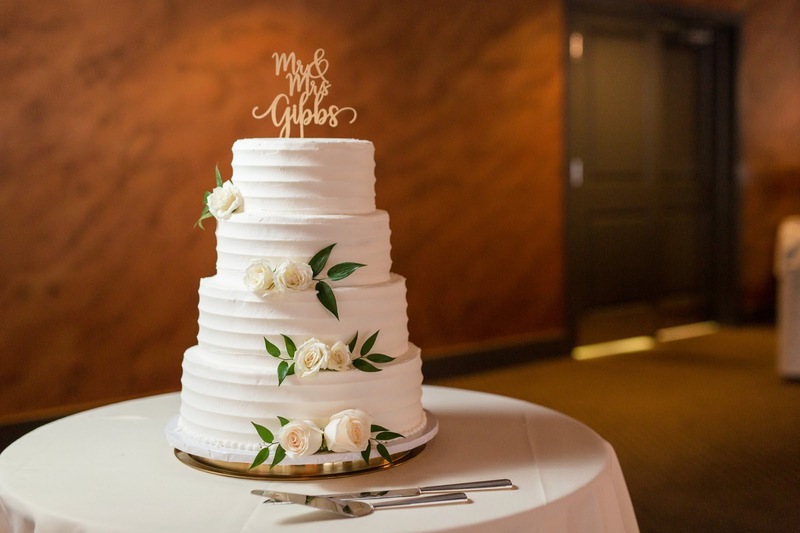 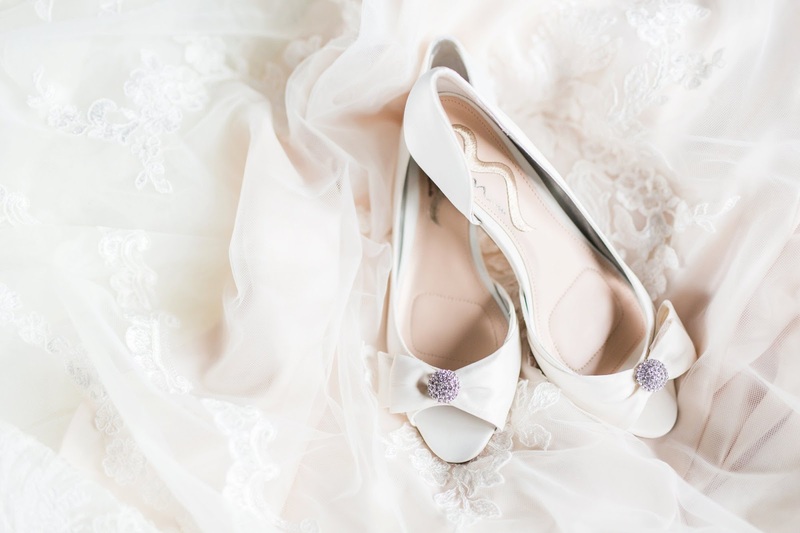 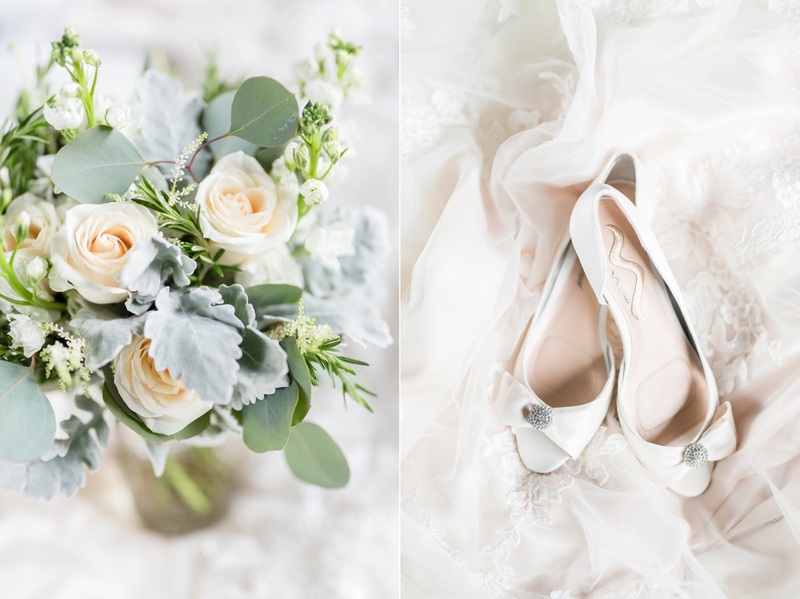 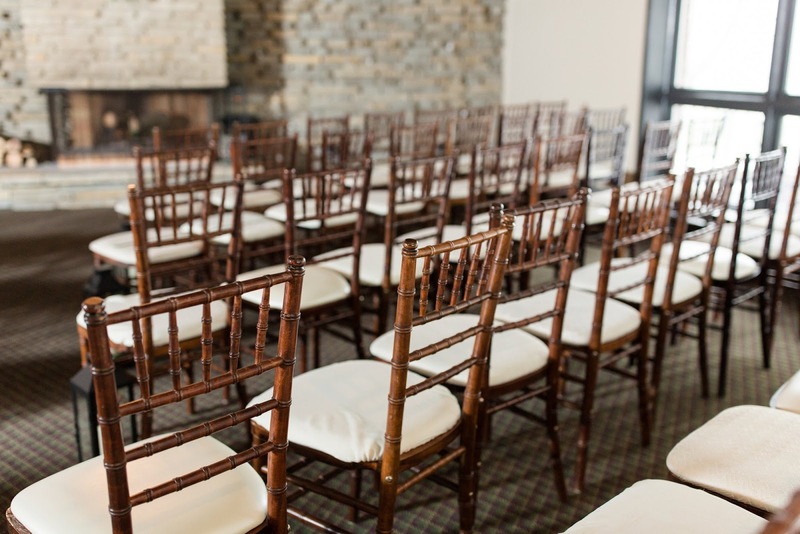 If you liked this post, you might also enjoy a blush and navy summer wedding at Oakhurst Country Club.